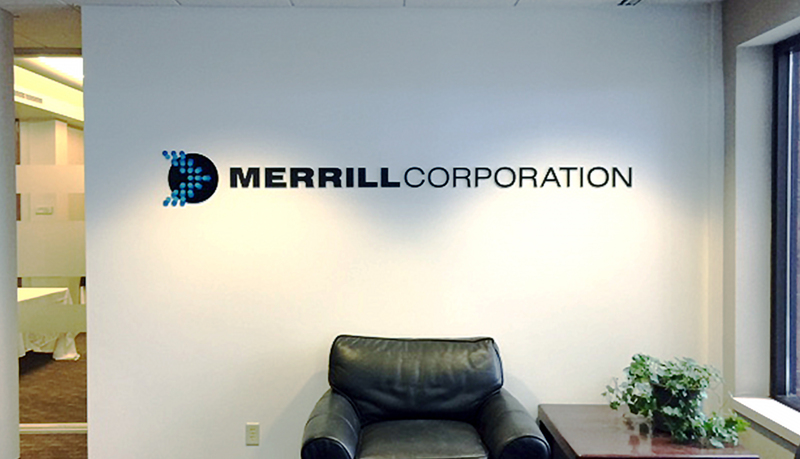 Merrill Corporation provides secure innovative solutions to complex content and communications platforms. 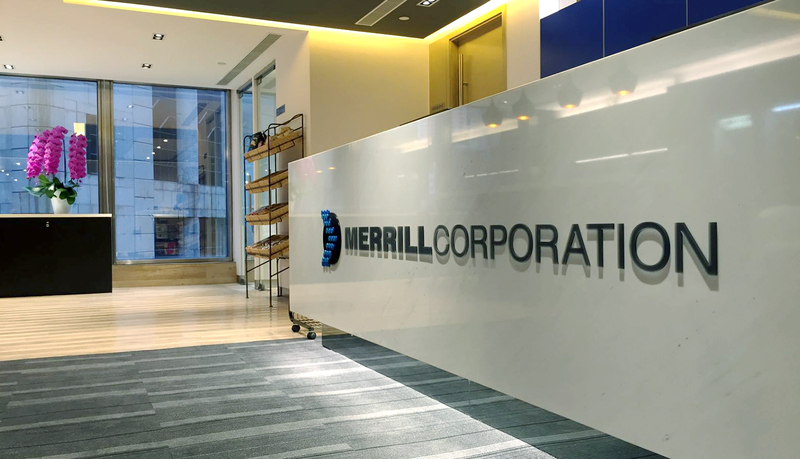 Merrill has deep domain expertise, exceptional service and innovative technology and is a trusted partner in ensuring their clients’ success at every stage in the life cycle of regulated business communication. 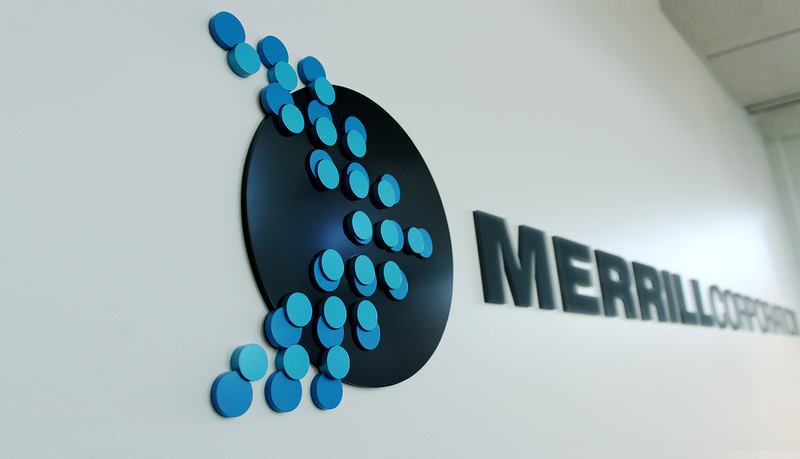 Merrill has more than 3,000 employees around the world and recently underwent a new brand design. One of the most critical factors for this brand update was to successfully rollout the new brand across all global locations within three phases, the first phase needing to be completed within three months. 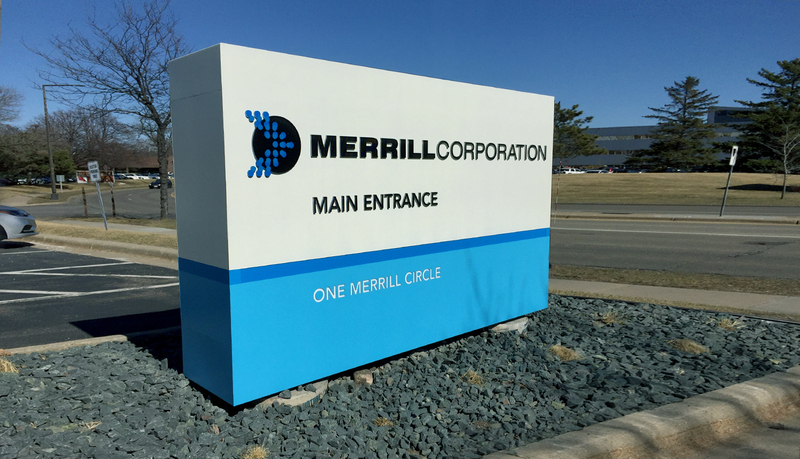 Merrill Corporation selected ASI to design, produce and install their global signage program. 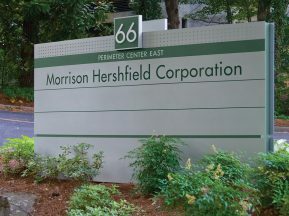 ASI was selected due to its ability to provide a turn-key solution from developing global signage brand standards to producing, shipping and installing signage throughout all 40+ locations across the globe. 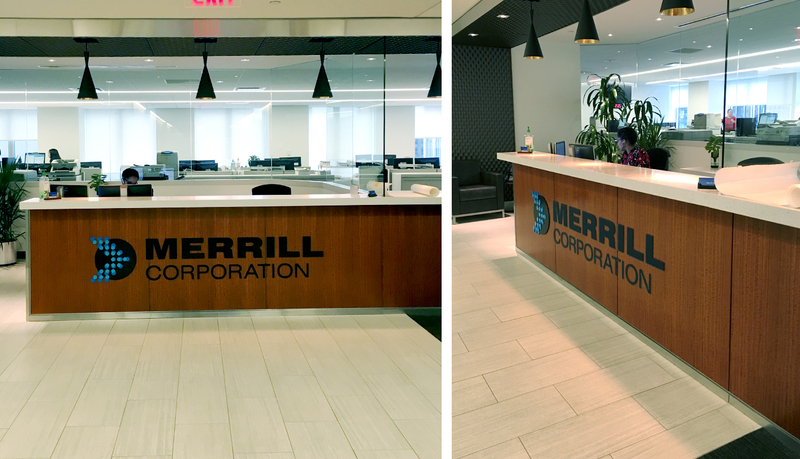 ASI Minneapolis and ASI Global Branding Services partnered to deliver a customized interior and exterior signage solution for Merrill Corporation working within the many challenges of managing global locations. 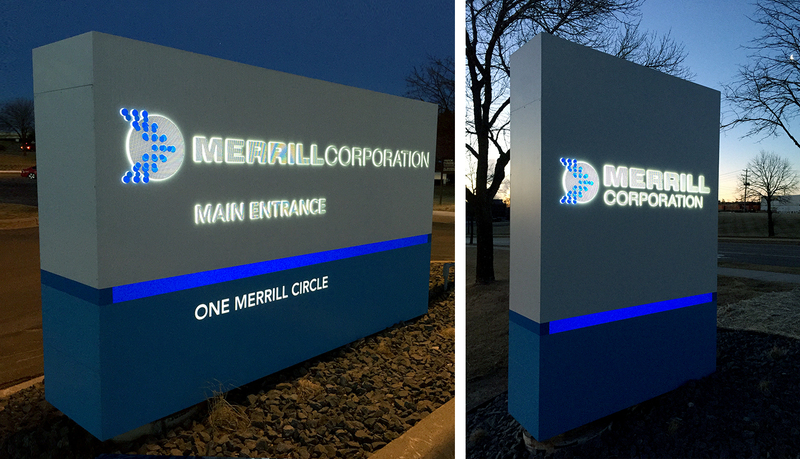 The signage design was an important component of the brand and required a modern, elegant and timeless look to reflect the new brand as well as complement a large variety of architectural finishes through each of their global offices. 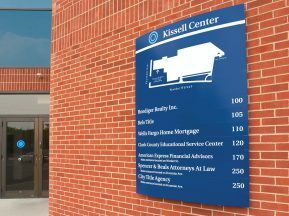 By using frosted acrylic, complex dimensional components and pushed-through graphics, ASI designed the professional, clean and modern look that their client desired. 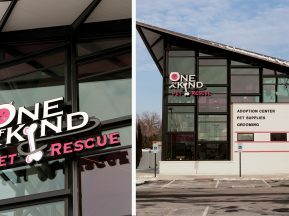 The design was a complex dimensional puzzle icon which required a strategic manufacturing plan given the global nature of the client’s operations. To ensure proper installation, templates were created to ensure precise application of each puzzle piece since each piece varied in depth and alignment. On local facilities, ASI had to work around unexpected delays due to city ordinance complexities and winter weather conditions. 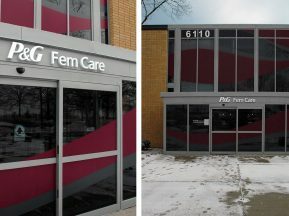 ASI was challenged to install interior logos and put temporary exterior banners over existing exterior signage within a few hours so the new brand was in place when the entire company returned from a local brand rollout celebration. To assist with projects on a global scale and assist in maintaining consistent brand standards, ASI provided two proprietary online software programs for streamlined management. ASI’s Global Account Management System (GAM) which documents all program information into a single, centralized web-based system. The system provides real-time access to overall program progress, project status, and offers the ability to drill down for specific project documents and data. 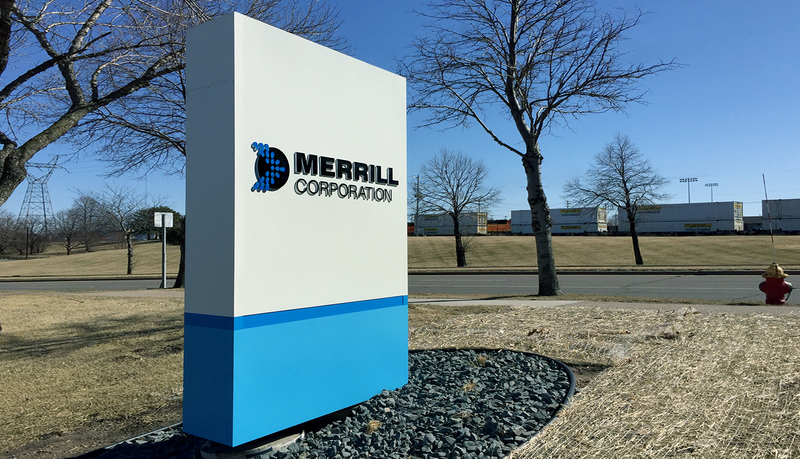 They also enrolled Merrill Corporation into ASI’s Online Ordering System (OOS) for fast and easy reorders. “Your GAM program is very slick. We wish more of our vendors had something like this.” – Jeanne Gosselin, Facilities Coordinator. We love the new signs and have received lots of positive feedback.